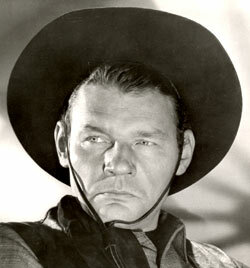 Leo Gordon’s hulking, muscular physique and deep set hard eyes combined with his raucous, menacing growl of a voice certified this man was a sadistic heavy. 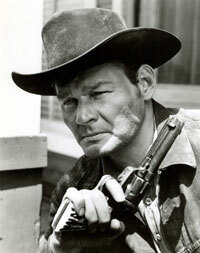 Director Don Siegel (“Riot In Cell Block 11”) claimed, “Leo Gordon was the scariest man I have ever met.” Gordon came by his toughness through life experiences, serving time in San Quentin for armed robbery. 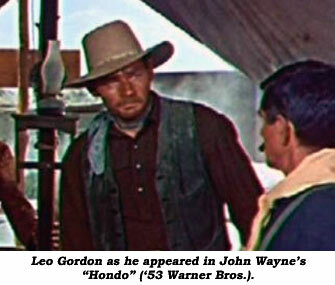 Leo Vincent Gordon Jr. was born December 2, 1922, in Brooklyn, New York, to Leo Vincent Gordon Sr. and Ann Qualy. He left school in the 8th grade, went to work in construction and demolition, then the CCC (Civilian Conservation Corps) after which Leo enlisted in the Army in 1941 where he served two years. It was after the war he was arrested for armed robbery in southern California and was shot by arresting officers when he pulled a gun. Leo served five years in San Quentin where he read nearly every book in the library. He put his life back together and attended the American Academy of Dramatic Arts on the GI Bill of Rights. Leo married one of his classmates, actress Lynn Cartwright, in 1950 and was soon cast as a boatswain mate in the London and Canadian companies of “Mr. Roberts”. Then, as Leo tells it, “I replaced Jack Palance in (the play) ‘Darkness At Noon’ in New York. A Hollywood agent got me the first film (“China Venture” in ‘53). I came back to New York and three months later I got another call. They asked if I could ride a horse. I said, ‘If I can’t ride, I’ll carry it.” I went out and rented a horse in Central Park. I couldn’t walk for two days. Anyway, they put me on a horse and I was there for 35 years. But I have a good foundation for a western background. 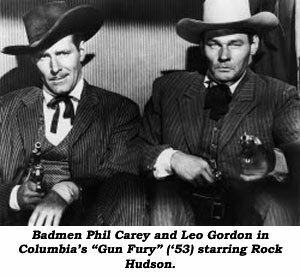 I was born in the same town as Billy the Kid…Brooklyn.” That first western which started Leo on a lengthy career in film and TV westerns was “City of Badmen”. Gordon was not just a one-note villain. 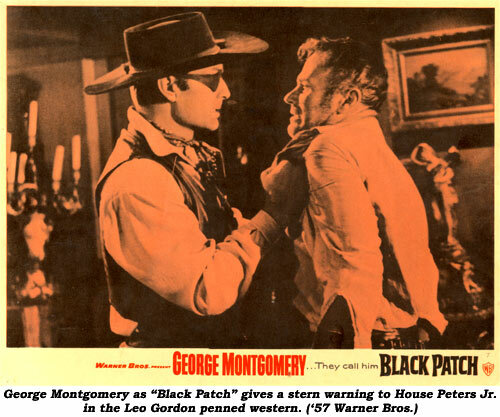 He played sympathetic parts on occasion, notably in “Black Patch” (which he wrote), in Roger Corman’s Civil Rights drama “The Intruder” and on episodic TV, “Gunsmoke” in particular. He always turned in first rate performances. He was recognized for his abilities with a Golden Boot Award in 1997. Leo guested on “Cheyenne” with Clint Walker several times. Their fight in “Vengeance Is Mine” is legendary. Clint told us, “Leo was a serious and intense actor, but I appreciated that working with him. Leo co-starred in my favorite film, ‘Night of the Grizzly’. I was so glad when Leo was cast in that film. 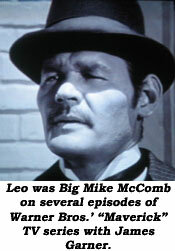 I knew it would make a better picture.” Incidentally, “Night of the Grizzly” was Leo’s favorite role. “It just had a quality to it. It was something Disney might have done. Basically, a clean story with no rotten nastiness about it. The whole concept of the thing was good." 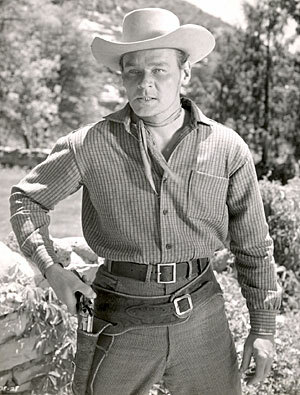 After a brief illness, one of the top five screen/TV western badmen died in his sleep at his home on Warnom Ave. in Sunland, California, on December 26, 2000. Cause of death according to the department of health services was respiratory failure and chronic obstructive pulmonary disease. He was 78. Leo was buried at Hollywood Forever Cemetery in Santa Monica. Leo’s wife of 50 years, Dora Lyn Cartwright, the daughter of a congressman, died at 76 on January 2, 2004, of dementia related disease following a hip fracture. A daughter, Tara, survives.